What do you want for your dog or cat? Many clients first response is that they want their pet to be as pain free and comfortable as possible. This is typically fairly simple when your pet is young or in their prime, but can be more challenging as they age.  We have a special area of interest in keeping mature pets PAIN FREE. At Island Veterinary Hospital, we love pets of all ages. But we have a special place in our hearts for grey muzzles- the greyer the better. We can help you detect pain and suffering earlier and we can help you come up with a plan to manage that pain so your dog or cat is healthier, happier and lives a longer life. Our program involves many aspects and modes of pain control. From weight management and basic exercise programs, to medications and supplements, laser therapy and changes you can make around your home, we can help you make a giant difference in your pet’s quality of life.